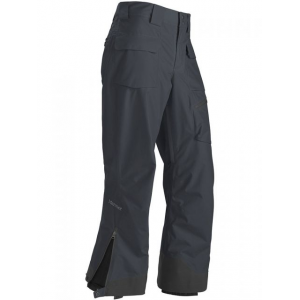 Our Galvanized Pants offer an uncompromised vision of dynamic performance and protection. 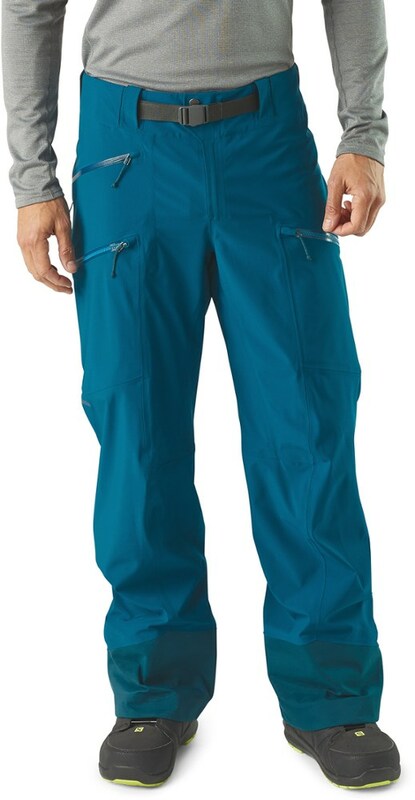 They use a stretchy 3-layer H2No(R) polyester/spandex fabric that delivers full mobility and exceptional waterproof protection, while a soft jersey-knit backer wicks moisture and maintains an amazing level of comfort. 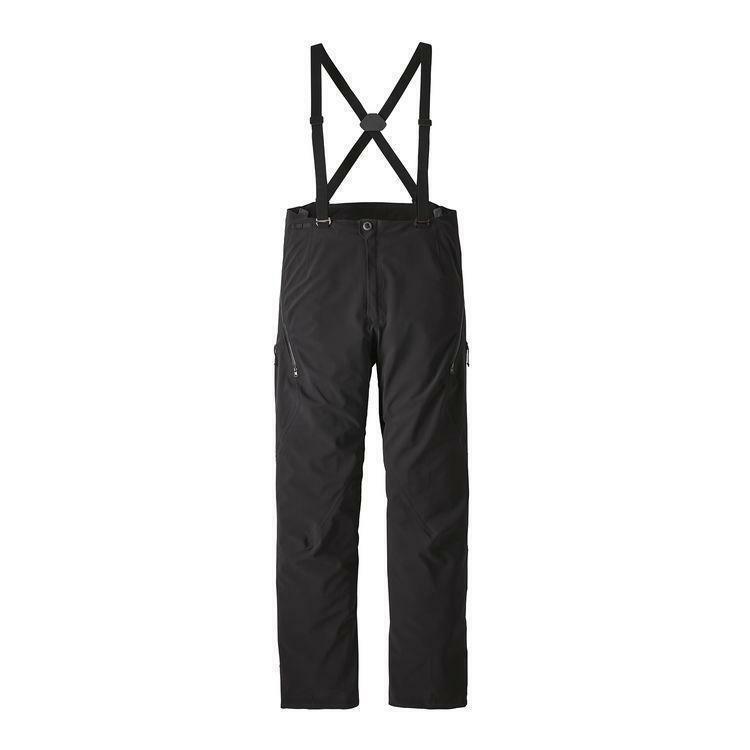 A minimal, articulated pattern complements the fabric's stretch to enhance ease of movement, and the two large thigh pockets have watertight, PU-coated zips that are strategically positioned for harness compatibility. 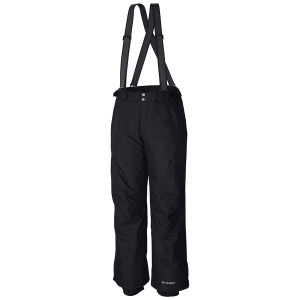 The waistline has a zippered fly (with snap-tab closure) and a low-bib height that stays above a harness (supported by adjustable, elasticized, removable suspenders), and now features thigh vents that double as a drop-seat. 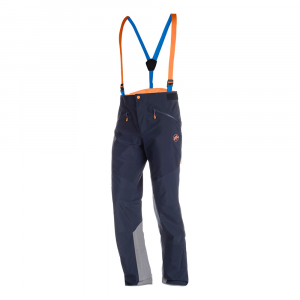 The narrow lower legs are specifically designed for climbing boots, with ultraminimal cuffs, shock-cord adjustments and tie-down loops to reduce bulk. With a DWR (durable water repellent) finish and a slim fit. Now with a concealed RECCO(R) reflector.